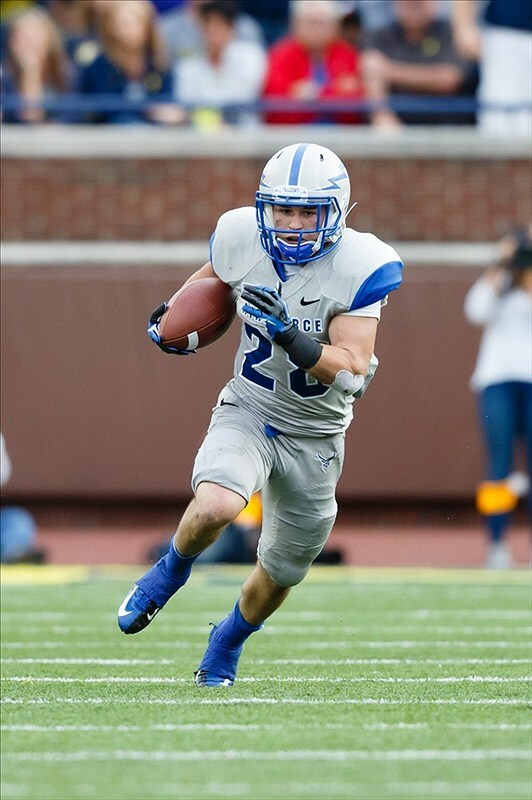 What Falcons fans need to know as Air Force looks for its first Mountain West Conference win. Who, where, when: Colorado State (1-3, 0-0 MWC) at Air Force (1-3, 0-1 MWC), Saturday, noon Mountain time (2 p.m. EST). TV: Altitude network (Bill Doleman and Jay Leeuwenburg have the call). Do I get the Altitude network? : Maybe. Gambling is illegal in most states: Air Force is a 14.5-point favorite. Colorado championship: The Rams downed Colorado 22-17 in their season-opener and the Falcons won’t play Colorado this season, so a win would give Air Force some regional bragging rights. Air Force coach Troy Calhoun would rather have something more concrete; he told the Denver Post he’d support “something like a governor’s cup,” where the three schools would face off on a regular basis. But with all three Colorado teams below .500, such a three-team round-robin event would have less national presence than it would’ve a few years back. Can Air Force win a three-team round-robin event? : Maybe. Scouting the Rams: Colorado is 0-3 since its in-state opening win, including a 22-7 loss to Football Championship Subdivision school North Dakota State. The Rams do have some strength and experience on the defensive front — senior end Lanston Tanyi has 25 tackles already this season (more on the CSU line here), and senior middle linebacker James Skelton had 91 stops last year, second on the team. Even sophomore outside linebacker Aaron Davis has experience, having played 11 games as a true freshman last year; he’s tied for the team lead in tackles with 30. Size stands out: The Rams’ offense has struggled, reaching 20 points just once in four games. CSU is averaging less rushing yards per game as a team (98.2 yards) than Getz is by himself. But if they want to go to the ground against the Falcons, they have the size up front to do it — every starting Ram lineman is 300 pounds or larger except junior center Weston Richburg, who tips the scales at a puny 297 pounds. Sophomore Nick Dejulio (6-2, 240) is the largest presence on the Air Force defensive line. Calhoun talked a little about that disadvantage, and about other CSU threats, here. troy calhoun is leading the decision for AF in a MWC that gets weaker and weaker by the day. he also wants to start a round robin competition between two terrible in-state teams. meanwhile, AF sells so few tickets they’re shrinking the stadium. when is someone in AF’s leadership going to stand up and put the school on course to maintain national relevance? relying on taxpayer dollars for hideous uniforms while showing the falcons get beaten by UNLV on some network called root or altitude is shameful. it’s time for the brass to step in and set the athletic department straight.